Three people are dead after a semi-truck veered into a median on Interstate 10, hit multiple cars and caught fire, according to officials. The Department of Public Safety said just before 10 a.m. Wednesday, a commercial truck was headed eastbound on I-10 when it veered into a median near Wild Horse Pass. Once the truck struck the median, it went into the westbound lanes and hit three cars, a DPS spokesman said. After hitting the cars, the truck ran off the road, overturned and caught fire. One of the vehicles struck, a Toyota van driven by Kim Frankel, burst into flames and killed Frankel and her two infant children. 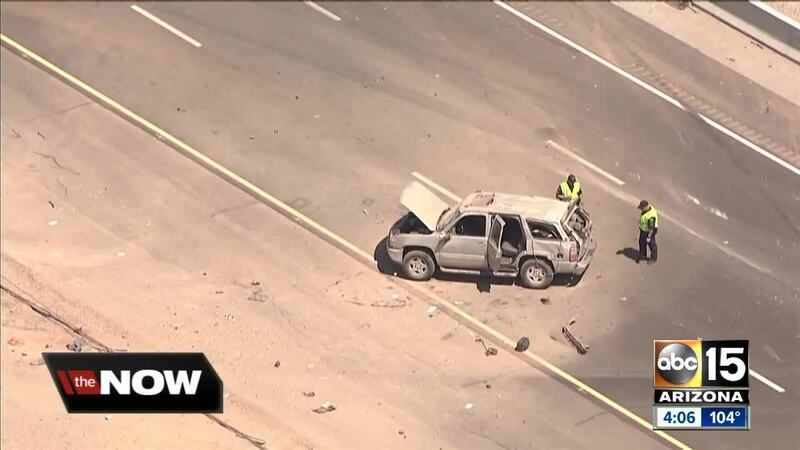 DPS said two adults and two children in different vehicles were also injured and taken to area hospitals. Their loss is difficult for the family of Kimberly Frankel and her two children Solomon and Tova to bear. Howard Frankel, a father and grandfather who is now devastated by this loss, described the grandchildren whom he was very close to and saw at least once or twice a week. "They were beautiful children and a beautiful daughter as well. Solomon loved adventures. Tova loved "sharkies" and dinosaurs. Frankel said his daughter was a former teacher at the Maricopa Unified School District and she really cared about all of her students. "She was concerned that a lot of the students in school she was teaching didn't have the basic tools," said Frankel. Many of her former students had posted on social media, describing her as an amazing educator who had changed their lives. Frankel's fiancee, John Colson, said she started the PAWS after-school program at her school to teach children to love and care for animals. She would take them on field trips, and expose them to farm life, aquariums, Arabian horses, and the outdoors. 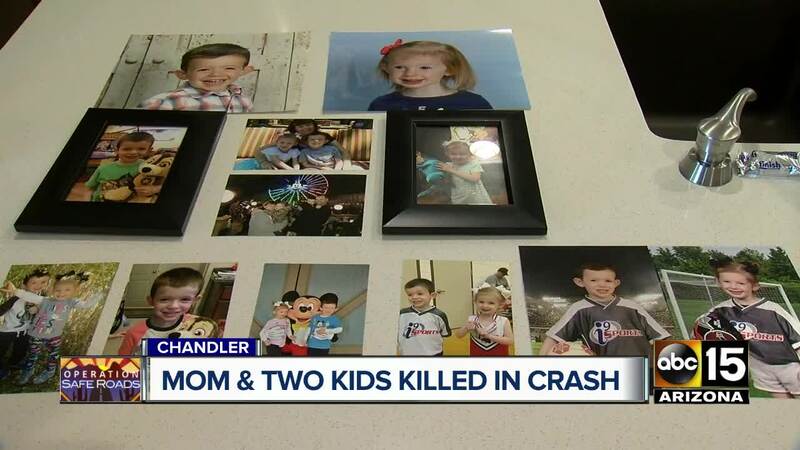 The family said Frankel was on her way to take the kids to one of their favorite places, the Giggles indoor playground in Chandler, when the accident happened. "They were wonderful grandchildren. Very giving, they would always bring you something, ask you when it was your birthday and what you wanted as a present," said Frankel. The family is sharing funeral plans with those who are interested in attending. Services will take place this Sunday at 10:30 AM at the Paradise Memorial Gardens at 9300 East Shea Boulevard in Scottsdale. The driver of the commercial truck was also taken to a hospital for his injuries. Westbound I-10 was closed for most of the day after the crash but has since reopened. Around 12 p.m. during the closure, a driver attempted to go through the backup by going the wrong way on the I-10 ramp at Cave Creek Road, a DPS spokesman said. The driver was cited for the incident. No word as to what caused the semi truck to go into the westbound lanes on I-10.